Rain or shine, travelers like to travel. Going In Style has hand picked our favorite travel destinations. So grab your travel ponchos and travel umbrellas and lets go! CHINA China receives more than 80 inches per year of precipitation in some parts of the country including Hong Kong which averages 87 inches of precipitation annually. The capital Beijing receives about 23 inches of rain annually. Travelers must be wary of typhoons which happen several times a year along the southern and eastern coasts. 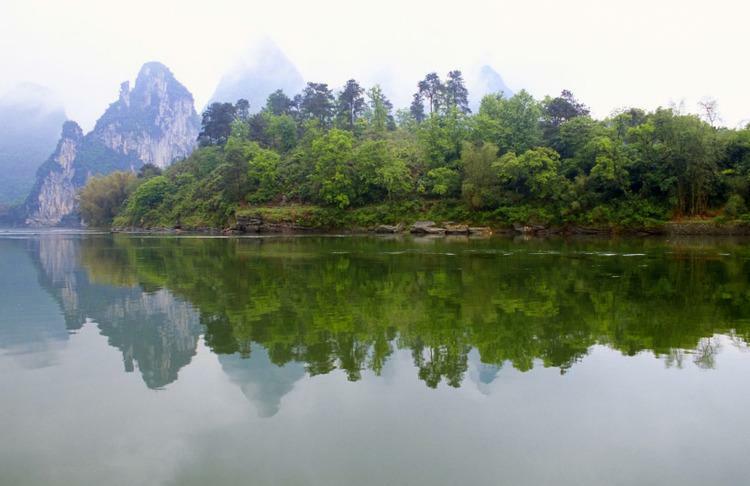 Keep in mind China is a vast region with different terrain and the climate can vary a lot. Be sure to check the weather forecast before you depart on your trip to China. Shop China Adapters. 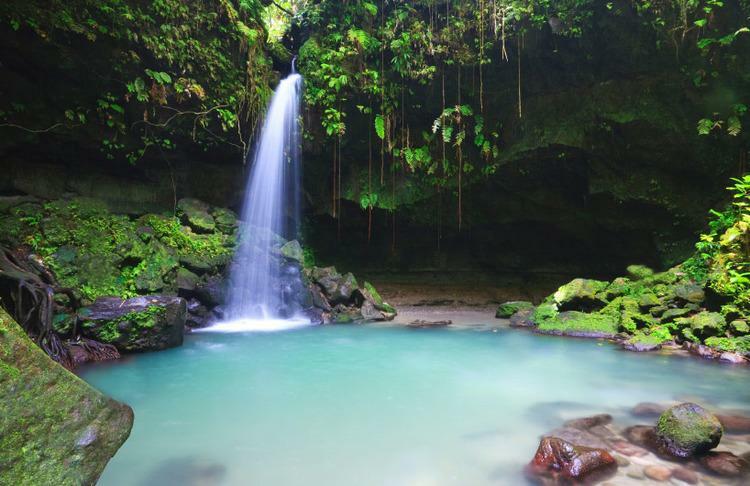 DOMINICA Dominica is known as The Nature Island of the Caribbean due to its beautiful, lush plant and wildlife. The Nature Island gets its gorgeous flora and fauna not only from its extensive park system protecting the rainforest but from its substantial amount of annual precipitation, about 100 inches per year. Dominica’s climate is tropical with moderate by northeast trade winds that bring in heavy rainfall year round which means there is a constant threat of flash floods. The rainiest months are September to October. Average temperatures in the Dominica are in the upper 70s (degrees Fahrenheit). Rain showers are usually brief and don’t last all day and it is good to be prepared for afternoon or evening downpours. The small island of Dominica is a fantastic rain forest destination. It’s affordable, remote and yet to be overrun by tourists. Flocked with earth-friendly resorts, waterfalls, dive sites, hot springs and amazing hiking trails this lush travel destination is a great alternative to its tourism-crowded Caribbean neighbors. Shop Dominica Adapters. INDIA The village of Mawsynram in India receives 467 inches of precipitation annually and is arguably the rainiest place on earth. India’s highest recorded record rainfall in one day is when it rained 26 inches in Mumbai in 2005. The southern part of India has a tropical monsoon climate and the monsoon season in India runs from June to September. Popular India destinations such as Mumbai, Calcutta and Delhi are known for their summer monsoon season. Traveling during the rainy, monsoon, summer season can save you money on airfare and popular tourist sites will be less crowded – just make sure to pack your wardrobe and travel accessories accordingly for rain. Shop India Adapters. 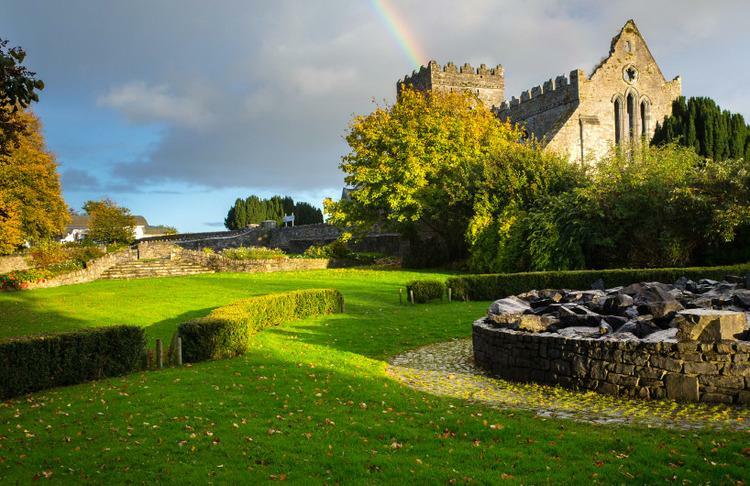 IRELAND The third largest island in Europe boasts lush vegetation with its mild climate and frequent rainfall. With some of the best natural backdrops in the world your exploring will be full of surprises. Bring your umbrella and in the summer enjoy 18 hours of daylight. The climate in Ireland consists of mild winters and cool summers and is always humid with average temperatures around 50 degrees Fahrenheit. Ireland has overcast days more than half of the year and plenty of rainfall, about 40 inches per year. The west coast of Ireland sees plenty of wind mixed in with showers and if you travel inland you will usually see misty, fog in the mornings. Summer months, May through July, has the best weather in Ireland with the least amount of rainfall and the warmest days, therefore this is the busiest tourist season. Shop Ireland Adapters. KAUAI The Hawaiian island of Kauai is the fourth largest island, yet the rainiest island in the Hawaiian archipelago. When traveling to Kauai, chances are you will see the rain. 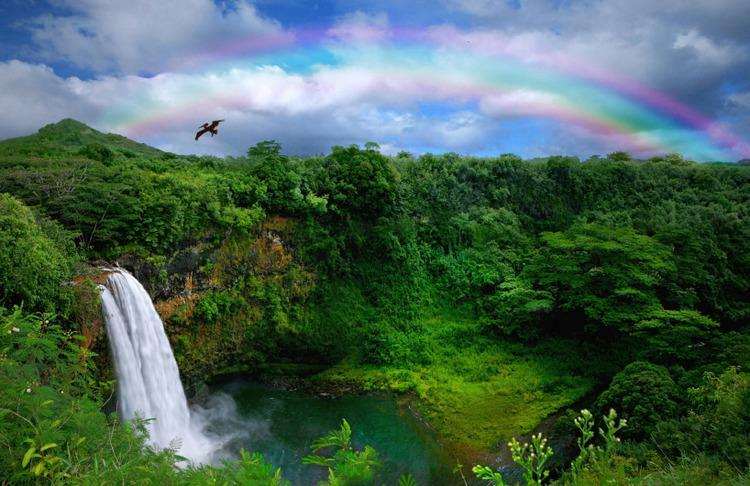 This keeps the island green, lush and beautiful; Kauai is known as the Garden Isle. Kauai is home to a gorgeous tropical rainforest, beautiful hiking trails, many waterfalls and abundance of plants and wildlife. The wettest time of the year in Kauai is from December to March. Kauai has its share of both rain and sun. Any trip here is certain to include a few showers. Enjoy the warm tropical mist and rainbows to follow along the 50-miles of beaches. Explore the island by land, sea or air. Don’t miss the Napali Coast, Waimea Canyon or a trip down the Wailua River. Shop Hawaii (United States) Adapters. ﻿LONDON London is a charming city despite the fact that it rains in London one-third of the year and half of the days of the year are overcast. 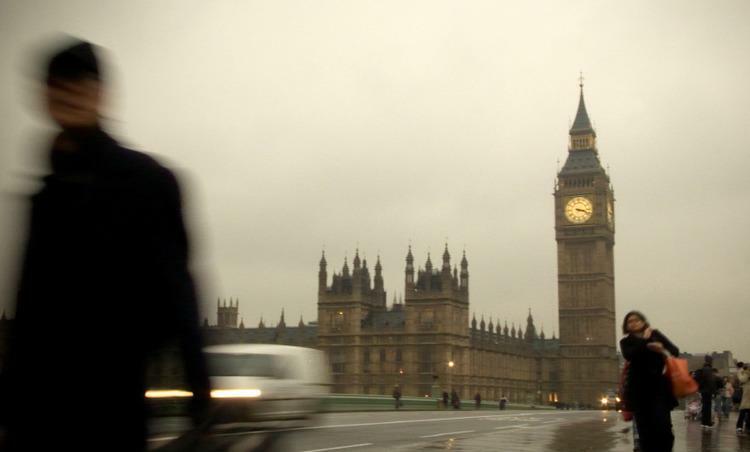 London is a drizzly destination that receives rain every month out of the year, getting about 24 inches of rain per year. Winters can be quite chilly, averaging about 35 degrees Fahrenheit in January and February with a chance of snow. Summers are usually in the comfortable low to mid 70s, yet there is always a chance of rain with an average of 8 rainy days per month in the summer. Shop London, England Adapters. PARIS Paris generally has cool winters, mild summers, overall is moderately wet, and there is always a chance of rain throughout the year with an annual precipitation of 26 inches. No matter what season you are traveling to Paris it is always a good idea to be prepared with an umbrella because of Paris’ frequent showers. The day may start out bright and sunny, but a quick shower can rain down on the Eiffel Tower at any moment. The rainfall is mostly evenly distributed throughout the year, with about 8 to 10 days of each month receiving rain. The least wet month out of the year is August; the summer is your best chance at avoiding the rain. Explore bridges and small quaint streets lit up in the glistening night. Not to fear if outdoor city trekking isn’t your cup of tea, Paris is a fantastic indoor city. It’s full of shops, museums, theaters, cafes and bistros. Shop Paris, France Adapters. SEATTLE Seattle is known as the rain capital of the United States. It's the largest city in the Pacific Northwest and quickly growing. Frequent rain enhances the beauty of this emerald city. Seattle gets about 37 inches of rain per year. Although Seattle ranks low on inches of rain received compared to other cities, it does have many overcast days. When it rains in Seattle it doesn’t pour, it is more of a steady drizzle; therefore it may be raining all day without accumulating a lot of inches of rainfall. The summer months, June through September, gets barely any rain, however it is always good to be prepared when visiting this drizzly city. Seattle is the epitome of the weather report cloudy with a chance of showers. Points of interest are the Space Needle, Pioneer Square, Mount Rainier and the Experience Music Project Museum. Leave your umbrella at home and make your way as a local here with a great rain coat. Shop Seattle (United States) Adapters. 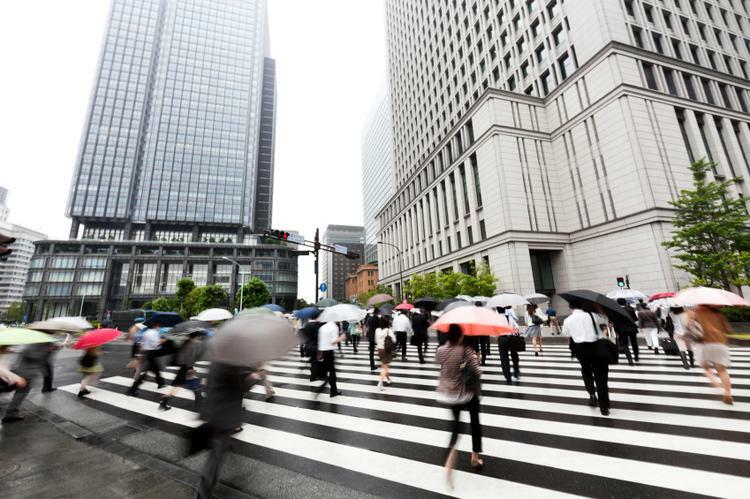 JAPAN Tokyo’s climate is tropical and humid with mild winters and about one-third of the days out of the year it is raining with the rainiest months being March to October. Every summer in June and July Tokyo will have average temperatures in the high 70s and will encounter mild typhoons. Tokyo receives about 60 inches of precipitation per year including a bit of snowfall and average temperatures in the low 50s every winter. Spring is a pleasant time to visit, since the Cherry Blossom Trees are blooming and the temperatures are more comfortable. Shop Japan Adapters.